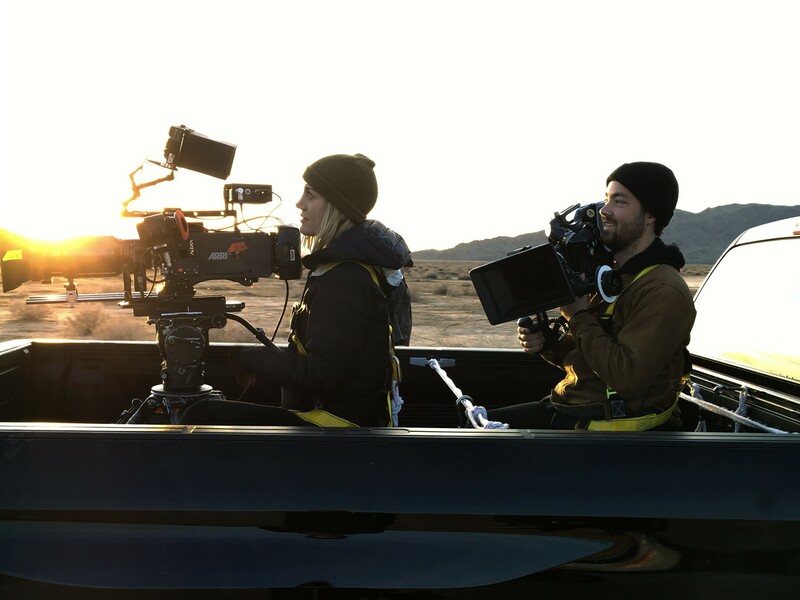 Since then, Katelin has become a sought-after cinematographer for big-brand commercials, high-profile music videos, and indie narrative short films. Her client list includes names like Levi’s, Lincoln, and Airbnb. 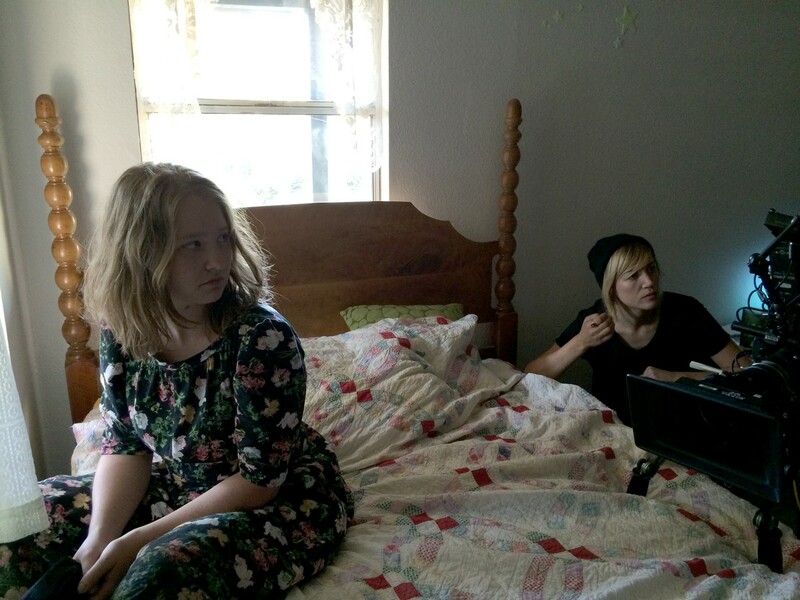 And she’s worked on music videos for bands like Interpol, Girls, and Black Rebel Motorcycle Club. She even did an unexpected film with Jared Leto, which she’ll explain later. 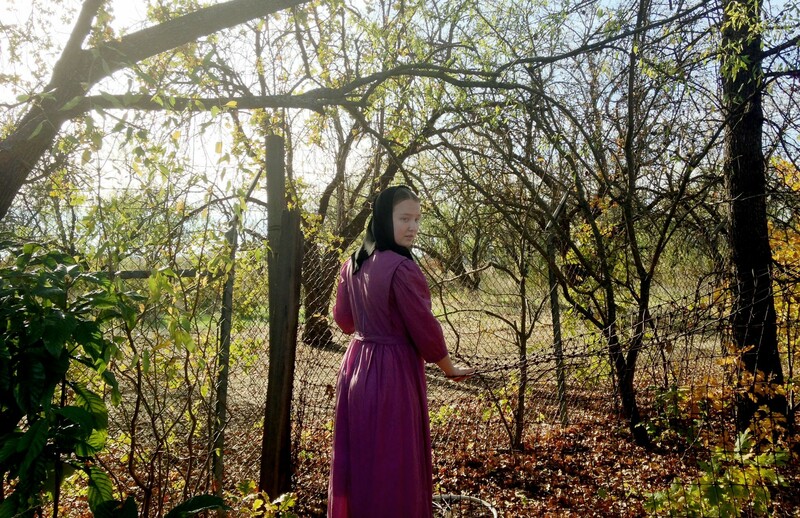 One of her most recent projects is an intimate, brooding short film called Deep Blue, a coming-of-age story set within a small Amish community. It’s dark, beautiful, and visually hypnotic. Everything we’ve come to expect from talented, up-and-coming Katelin Arizmendi. 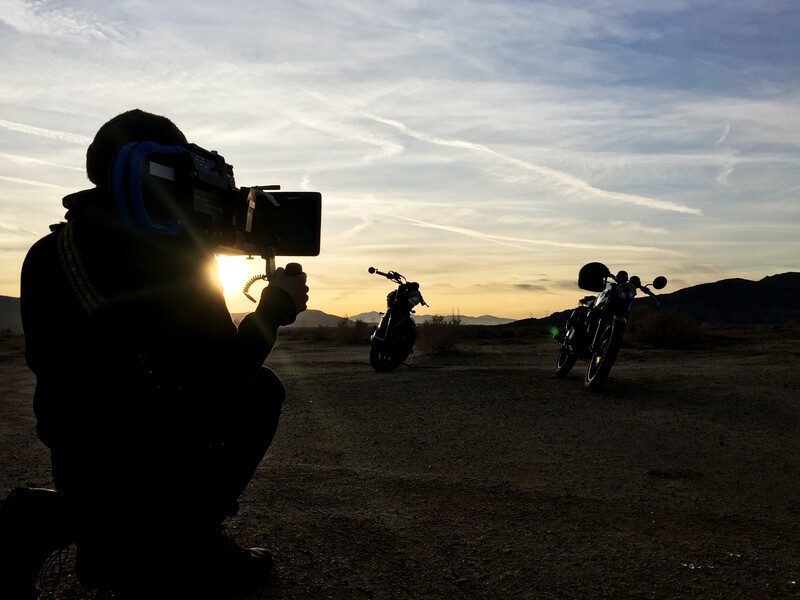 Musicbed: Did you always want to be a director of photography? 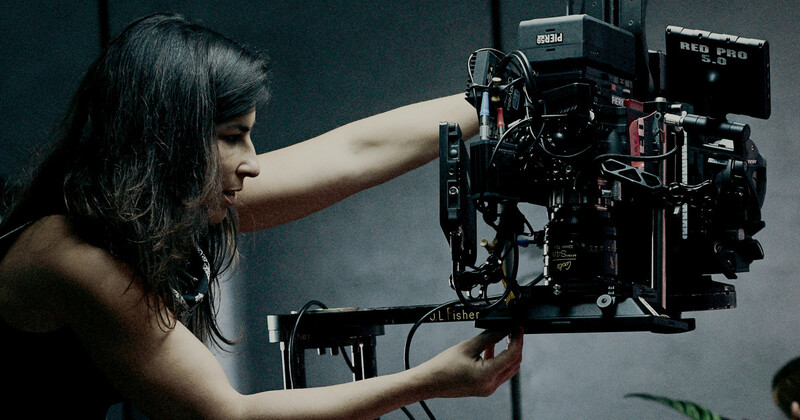 Katelin Arizmendi: I was always into filmmaking but not necessarily being a camerawoman. I made films with my brothers and some neighborhood friends. 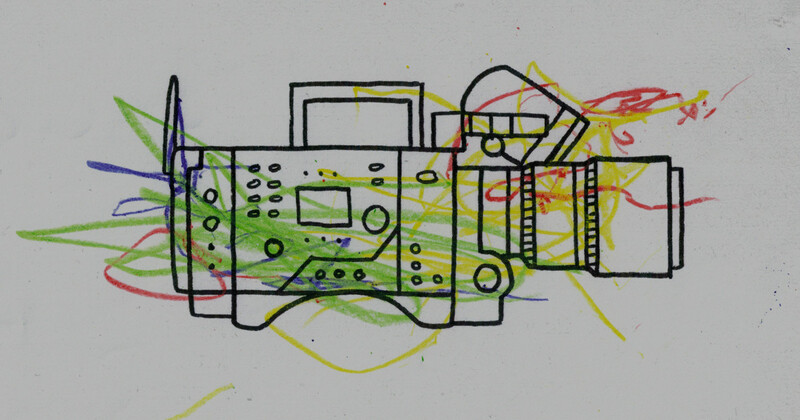 Actually, my older brother was super into making films. But when it came time for me to decide what I was going to study, I picked film. It seemed like something that would fit with the type of lifestyle I wanted: I could be creative, I could meet a lot of people, and I could travel. So I got my undergrad degree in film and digital media. I took some classes on production at UC Santa Cruz, but it was all very experimental. My teachers were like, “Screw the norm; you’ve got to experiment.” So that was my first intro into production — this mind-set of trying to be different and doing something not Hollywood-esque. It stuck with me. I left UC Santa Cruz and went to the Academy of Art in San Francisco, and that’s where I realized I was mostly interested in the photography aspects of filmmaking. Now I can’t imagine doing anything except cinematography. What happened after film school? I started camera assisting and making some small films on my own. I was in San Francisco at the time, and a director saw my work and, I don’t know, saw potential in me. He asked me to shoot this Levi’s commercial in San Francisco, Paris, and Tokyo. That was the first thing I did where I felt like I was hired to be a director of photography. Not long afterward, I moved to L.A. and I decided I wasn’t going to introduce myself as a camera assistant ever again. I only wanted to shoot. So everything kind of slowed down for a bit, but I kept shooting my own projects or low-budget things. One day I got a text from a friend of mind, another DP, and he asked if I wanted to be an operator on a 30 Seconds to Mars music video. So I showed up at this house, and my friend wasn’t there. Basically I ended up being the DP on this thing with Jared Leto. And it was so, so small. It was a PA, Jared Leto’s two assistants, Jared Leto, and me. We went up to this mountaintop, and he was doing playbacks off an iPhone. But then it goes up on YouTube, and everyone is like, “Oh my god! You shot a 30 Seconds to Mars video!” It was the highlight of my career at that point. At some point on the way to becoming who we want to be, we have to stop being who we were. Has one thing led to another for you? Not always. For a long time in L.A., I wasn’t working that much. You get kind of frustrated. You’re wondering if these people are ever going to hire you. I never had that one project that blew up my career. It’s been a slow incline. And there were definitely times when I didn’t know what to do next. I didn’t want to have to create my own films just to build my own portfolio. I knew I wasn’t a director; I wasn’t a creator. I didn’t feel strong enough to be able to make my own content. I wanted to shoot for other people. Eventually one project started leading to another, but it didn’t happen right away. What were you doing during the downtime? Oh, just working on my reel and making myself look busy on social media. Just continuously making myself look busier than I was. Have you reached a point now where you have options for things to work on? Yes, luckily. I’ve been saying no to a lot of things. I want to be pickier. The people I look up to, they always put out masterpieces. People wait to see what they create. I’d love to get to the point where I am super proud of every single project I do. Where I want to share all of them — as opposed to doing a bunch of random things, and every now and then something is really good. 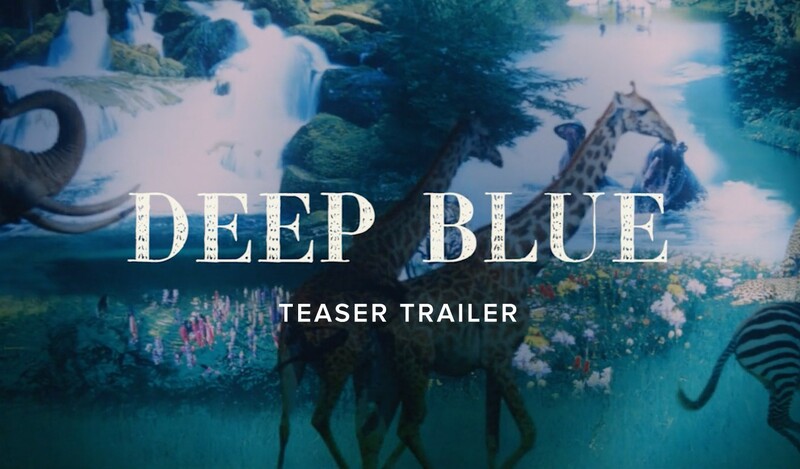 How did the Deep Blue short film come about? It turned out to be one of these very small, very intimate shoots. We didn’t have a lot of distractions. Everyone was there for the same reason: to make a film we cared about. I think everyone did it for free, so nobody was checking the clock. Everyone was completely committed to the project and the story. The way we shot it was, we’d light the whole scene and do these long handheld takes. Once I got the style down, it was just me moving around, feeling out the shot, letting the actors control a lot of it. That’s not the standard way of working, and that’s not what I normally do. But it was cool. It was very natural. And it was about letting the actors and their performance guide the camera. I love coming-of-age stories, and I especially loved this one. The whole story was very interesting and very emotional. You’re kind of in this girl’s head the whole time. I’ve always been fascinated by Amish and Mennonite communities and how they react to certain issues. 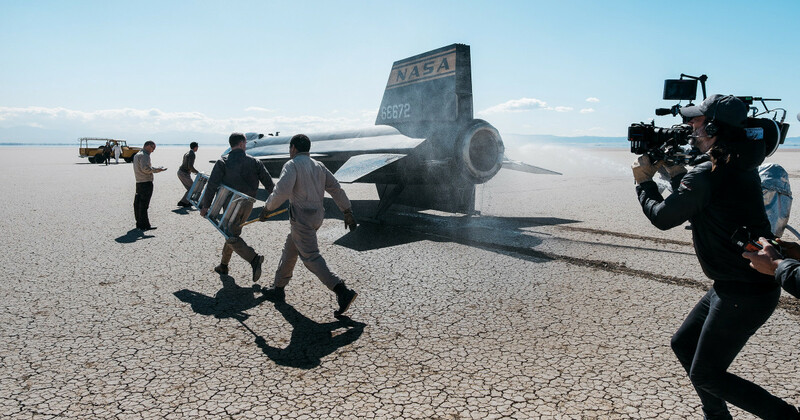 The film is also very visual, which attracted me to the project. The fact that there’s barely any dialogue lends itself well to cinematography. Like a lot of your work, the film is pretty dark. How have you come to that aesthetic? It’s what I’m drawn to. I think I’ve gone through lighting phases. I started out doing crazy colors and gels and things like that. Then I moved toward more natural lighting. It’s funny, the people on the shoot were telling me I’ve moved into my negative phase, where I’m just like, “We don’t need any lighting. Just bring in negative.” I go through these phases where I do something too much and then I need to switch it up. Do you think you’re in a phase now, or have you just been getting to this point all along? I think I’m still going through phases. There are so many things I see that I want to try. I have gaffer friends who tell me what new kinds of lights are out, new things I haven’t tried. So I put them on a shoot and test them out. I did a commercial recently that was all LED. It’s literally endless. Sometimes taking the next step in your career is as simple as changing the way you introduce yourself. Start telling people who you are, and that is who you will become.